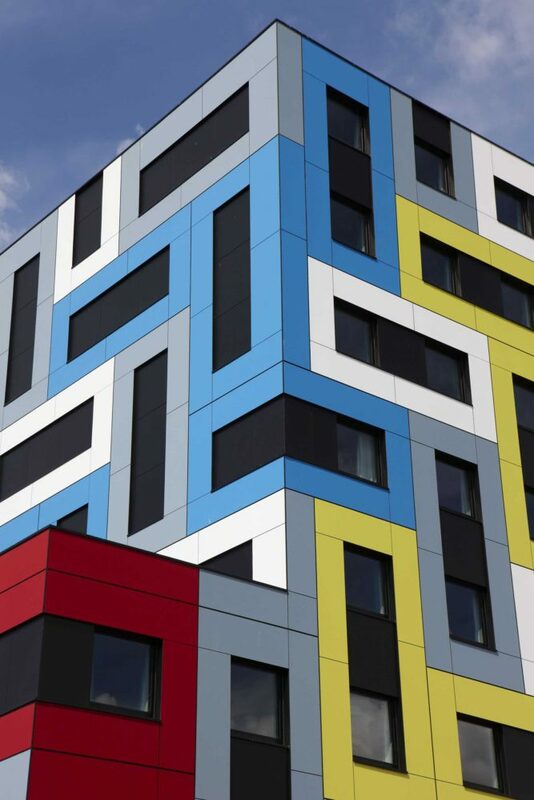 Almost 70 colourways and 2 finishes, Satin and Rock ensure Trespa Meteon UNI colours will suit your design needs. 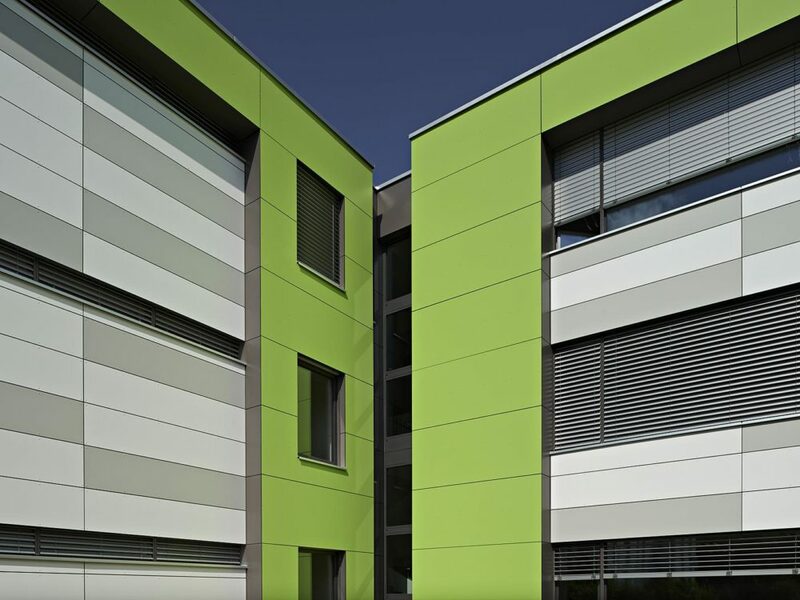 Similarly to the rest of the Trespa Meteon High pressure laminate range UNI colours panels are exceptionally robust withstanding various weather conditions, moisture and UV rays. The versatile cladding has endless possibilities and can be used for other exterior cladding needs, such as balconies and sunblind solutions. The environmentally friendly high pressure laminate panels consist of a blend of thermosetting resins and up to 70% natural fibres, manufactured under high pressures and temperatures to ensure a dense, highly stable panel. 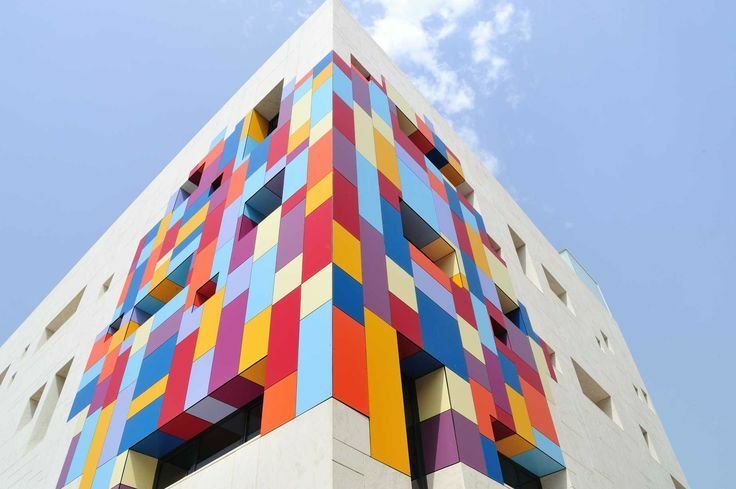 If the almost 70 standard colourways available cannot fit your design needs special project colours can be custom made for your facade. Finishes Satin and Rock provide varying surface textures to add an additional feature to your facade project. For more information on the Trespa UNI Colours range please contact your local branch.